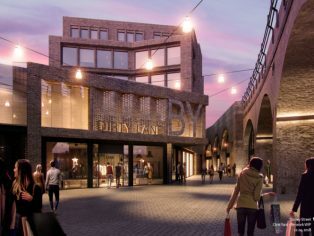 Restoring and rejuvenating an important part of south London’s Victorian railway heritage, the landmark scheme will also repurpose 8,500sqm of existing railway arches. SPPARC’s design weaves together historic fabric with contemporary architecture and new public spaces to open up the site to its Bankside context and bring new pedestrian permeability and amenities to the area. 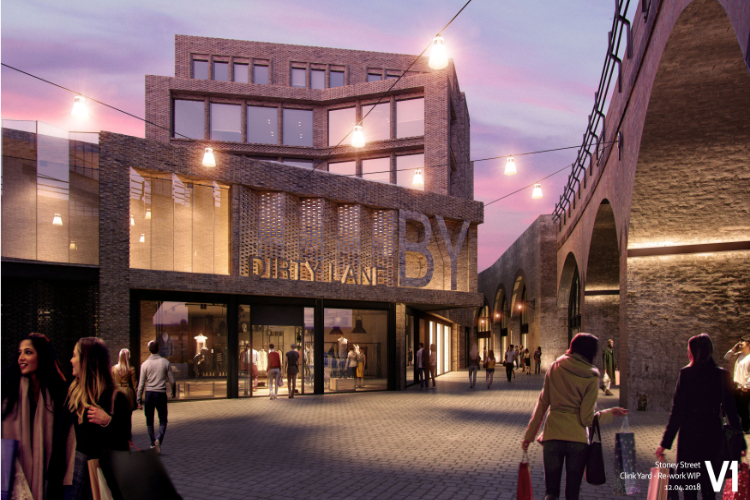 The arches will be opened up and transformed to create raw-brick cathedral-like spaces for a new retail environment, cultural spaces and gallery. A simple glass frontage with industrial scaled structure will be recessed between each arch to allow a visual appreciation of each impressive Victorian span. 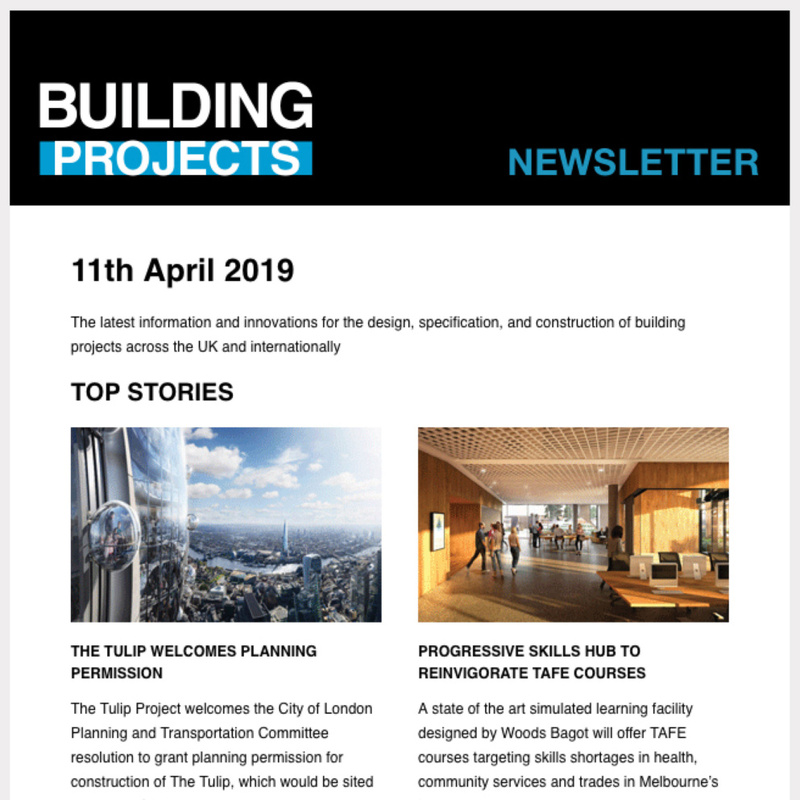 The proposal incorporates retained facades of forgotten warehouses which will be sensitively blended into the new Borough Yards district, providing elevations to two, six storey office buildings. Inspired by Victorian terraces bounding its Stoney Street site, the long elevation of the largest new building incorporates a series of folds that respond to the rhythm of the townscape whilst reaffirming the re-emergence of the location. Music Box – a newly completed cube-shaped student campus for the London College of Creative Media. Native Bankside – This project sees the transformation of an 19th Century warehouse located in Southwark’s Bear Gardens Conservation area comprising a 75-room aparthotel and rehearsal studios for the Globe Theatre. 87 Newington Causeway – A twenty-three storey mixed use development comprising a 140-room hotel 48 residential units and retail space. Ilderton Road – A proposed scheme that will deliver a local retail space alongside 334 residential dwellings including onsite affordable housing. Verney Road – A mixed use development across three buildings of between 16 and 22 storeys, which will feature 3,307.80 Sq/m of flexible commercial floor space alongside 340 residential dwellings including on site affordable housing plus 394 Sq/m of community space.